As we enter the final fortnight of 2018, PR360’s leadership team look back on the public affairs, corporate, consumer and digital communications moments of the year, and discuss the trends, technologies and attitudes set to shape 2019. You know something or someone is striking a chord with the public when a couple of times in one day, in different scenarios with contrasting people, they say “No matter how bad my day is, it couldn’t be as bad as Theresa May’s”. Pro- or anti-Brexit, love or hate Theresa May, there is no doubting her resilience. It’s often said that people respond in two ways to crisis: they either fold under the emotional pressure or they dig deep and keep going whatever the personal and professional costs. David Cameron (remember him?) proved to be the former, walking into the sunset after the Brexit referendum in June 2016. Not so Theresa May. 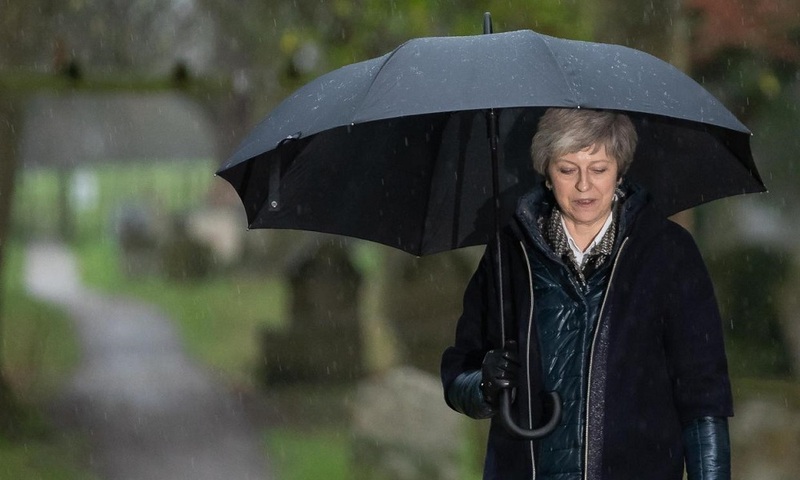 More than two years on, the British PM has suffered more stresses, anxiety, setbacks, abuse, rejections, betrayals and backstabbing than even an EastEnders Christmas Day special scriptwriter could dream up. Despite it all she has endured. With last week’s vote of no confidence, many believed it was finally the end of the line for her premiership. But yet again, she proved them wrong and survived. Not only that, but as she has overcome each challenge, she has grown in confidence and stature. As was the case for much of 2018, it remains really difficult to predict whether she will make it all the way to the UK’s formal EU departure date of 29 March, or whether her luck will finally run out before then. However, her journey through 2018 should have taught us all that she is not a politician to be so easily discounted. It has also, hopefully, shown us what true grit and determination looks like in a political leader. 2018 felt like the year the public started to fall out of love with social media—some parts of it at least. This trend looks set to continue into 2019. Facebook, in particular, has had a bad year from a reputation perspective, with a number of data breaches grabbing the attention of the public, governments, and law enforcement agencies. Its reputation took a severe hit with the Cambridge Analytica scandal, when it was revealed that the personal data of millions of users had been exposed. Only last Friday (14 December), Facebook announced that the photos of up to 6.8 million users may have been exposed as a result of a bug in its systems. In 2019 it’s likely that the net effect of a growing public awareness and greater sense of ownership of personal data will compel national and international lawmakers to significantly expand existing data protection laws. For example, the EU is currently working to develop a new ePrivacy Regulation. This move to enhance data protection legislation is already exerting a positive downwards pressure on social media companies, encouraging them to more proactively protect their users’ data and educate their users to take greater ownership of this data. Like companies and brands of every generation, social media companies are now discovering the hard way that reputation matters above all, and that once it’s lost, it’s hard to restore. Nike’s decision to break ranks with the NFL and make former quarterback-turned-activist Colin Kaepernick one of the leading faces of its 30th anniversary ‘Just do it’ campaign had many asking whether the brand had found its soul or instead made a purely calculated commercial decision. To its credit, Nike has supported NFL player protests from the very outset, backing athletes’ right to “freedom of expression on issues that are of great importance to our society”. However, corporates like Nike aren’t in the business of making long odds bets. If Kaepernick’s actions represented a major career gamble on his part, Nike’s approach might be better described as “part politically significant gesture but ultimately a carefully planned business decision”. If the NFL had failed to capitalise on one of its cultural breakout stars of the last 24 months, Nike wasn’t making the same mistake. As the League dithered in its attempts to keep owners, sponsors, players and fans all onside, Nike found a way to marry its commercial and PR smarts with a keen understanding of a changing zeitgeist and an opportunity to future-proof the brand. Within days its share price had risen to all time high of over $85, and the campaign had been celebrated as one of 2018’s most successful. As we enter 2019, expect more traditionally apolitical corporations to publicly pick sides on the political, cultural and social zeitgeist issues of the day. Historically, large corporates have always favoured doing their political bidding behind closed doors and were very risk averse when it came to weighing in on potentially divisive subjects that might alienate customers or clients. Next year, many big corporates will in fact embrace the opportunity to pick sides, but only if it strategically makes sense to do so. In the last fortnight, outdoor clothing company Patagonia Inc. committed the $10 million it saved from federal tax cuts championed by President Donald Trump to non-profit groups that work on conservation and climate issues. Again, while its motivations may have been benevolent to a point, the company knew its target market would welcome such a move, helping to position the brand as progressive and on ‘the right side of history’. Expect this trend to snowball in 2019. A brand campaign (or, rather, a well-executed crisis management plan) that stood out in the earlier part of the year was the KFC debacle. In short, KFC changed its delivery supplier from the food delivery specialist Bidvest Logistics to DHL, a less experienced food delivery service better known for home delivery. The pair gleefully announced the new partnership, promising a revolution in supply chain management. Eek. Fast forward a short number of weeks and DHL was struggling to meet the delivery demands of its new client, resulting in KFC (Kentucky Fried Chicken, that is) restaurants selling everything but the chicken. The situation worsened: hundreds of restaurants closed (900+), over 50,000 social mentions were recorded, and hashtags #Chickencrisis and #KFCcrisis dominated our newsfeeds. The story made international headlines, dropping brand sentiment to worrying levels. To quickly take control of the situation, the restaurant needed to respond intelligently. KFC playfully rearranged the letters on its chicken buckets to read ‘FCK’ and placed an ad in two UK newspapers. This was bold, down to earth, honest, and most importantly, a human, emotive response. There was no window dressing and consumers respected it. The result? KFC’s viral response drove hundreds of media stories, opinion articles and TV debates, allowing the brand to emerge with no lasting damage. KFC responded quickly and took control of the situation, turning a potential PR disaster into a coup—a great example of strong corporate crisis management. 2019 will be the year for brands that are honest, authentic and deliver credibility for consumers. Consumers today desire meaning and emotion—we want to engage with companies and brands that stand for something, show leadership and individuality, and do more than just try to sell us things. There is an opportunity for smart brands to not only be transparent but have presence. Next year, we’ll see a transition from highly branded content to more authentic content. We’ll see companies and brands go back to basics and tell real stories that deal with real issues. The successful brands will be those that stop saying what they think they should say in favour of what they really believe. Playing it safe is no longer a strategy or required. I don’t know about you but 2018 seemed to me like the year everyone was in an awful rush, and no amount of time on the ‘Headspace’ app was helping. With so much to do and such little time to do it all in, bad habits of putting the cart before the proverbial became very noticeable. “Something has happened—quick, Tweet it!”, “That’s a cute photo—add it to Instagram stories!”, “I’ve just had a brain wave—put it on LinkedIn!” These all are sure fire ways to tell your audience that you and your brand have absolutely no digital strategy. I came across this time and time again in 2018—social media accounts created for the sake of it. Social media needs to sit tightly within digital strategy, which should be the same as any other communications plan. Who you’re talking to, what you’re saying, and how you say it matters. ‘AI’ was 2018’s most overused word. I’m personally not a fan of the word ‘intelligence’ in AI: too many people have attached it to the idea of a fearful, iRobot-style dystopian future. Instead, I think we should use the term ‘machine learning’, which more accurately describes the technology we use in communications and business. Machine learning will become more prevalent this coming year as more and more chat-bots take centre stage in consumer services, digital marketing plans, and communication activations. One of the biggest challenges of the daily data churn is uncovering the real insights. While we’ve seen a vast array of new social and digital reporting tools come to market this year, all focus on separate or siloed off parts of business campaigns. Wouldn’t it be great to have a piece of software that shows you how all your different marketing and communications activities are adding to your business strategy in one simple view? Watch this space! In 2019 PR360 has a time-saving, easy-to-use surprise in store.